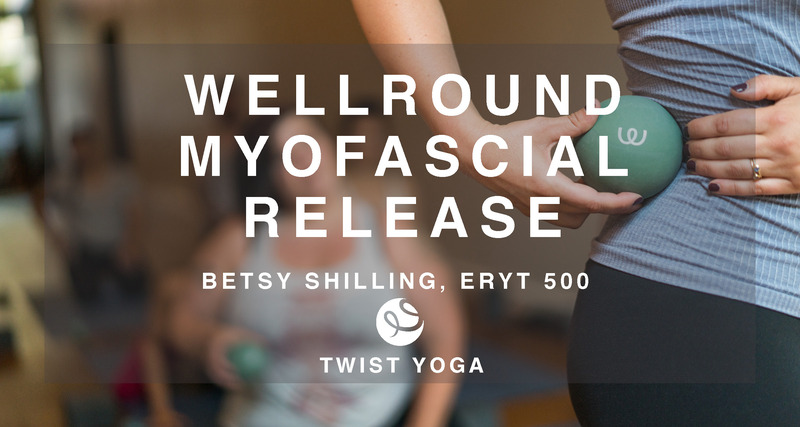 Wellround Myofascial Release, Level 1. In this 15-hour CEU training, you will learn how to take better care of fascia! Fascia is the giant-living-knitting fabric that holds us together and is the body’s largest sensory organ! Its health is kind of a big deal. So why are you just hearing about it? Until recently, fascia’s significance evaded Western science but we now know that myofascial release (the de-adhering, detoxifying and untangling of deep fascial tissues) effectively reduces pain, stress, recovery-time and the occurrence of injury while improving energy levels, well-being, posture, core-integration, anatomical understanding, proprioception and bolsters the immune, respiratory, muscular, skeletal, circulatory and nervous systems — to name a few! Effectively Self-Massage to Reduce Pain, Tension and More! Feel Better in Your Body!!! Come ready to take-in stimulating lectures that will expand your anatomical and asana understanding, participate in an extended self-massage session (with grippy pliable Wellround balls) as well as a sweaty vinyasa and Wellround MFR practice and a highly informative and nurturing hatha Wellround MFR practice (both asana classes will be taught for all levels). *You don’t need to be a yoga teacher to participate! This training is open to all mind-body-spirit enthusiasts with at least 2 years of yoga experience and a foundational understanding of anatomy. Massage therapists, physical therapists, physical trainers, dancers, etc., join us! Tuition: $325 if registered by Sep 6. $385 after. Betsy is a yoga teacher, myofascial release specialist and entrepreneur in the fitness and wellness industry. She recharges by resting in nature, holding someone she loves, dancing like a wild-womxn and listening to learn. Through her work, Betsy advocates for conscious, kind and equitable living and she works to make self-empowered health and happiness more accessible to all bodies. Betsy has taught martial arts, women’s health, psychobiology, meditation and yoga over the last couple decades. Founder of Wellround, E-RYT 500, BA Psychology, Vedic Thai Yoga Practitioner.